Age range information is required if you list your work in the Children or Teens categories. It will also better target your work to intended audiences and allow retailers to ensure your book appears in appropriate search results. How do I add an Age Range to my Children's or Teens Ebook? That's it! Your Ebook's age range should update on the iBookstore within a few days. 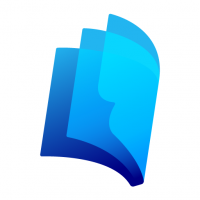 This feature allows Lulu authors to better market their ebooks. Friends and family searching or ebooks as gifts will be able to more easily separate ebooks into age appropriate categories. In addition, Apple requires age range information for all Children and Teen ebooks before they can be listed in the iBookstore. What happens if I don't add an Age Range? If your ebook was previously listed on the iBookstore under the category Children or Teens and you do not add an age range, your ebook will become harder to find on the iBookstore than ones with this information. Adding an age range will increase your work's visibility and potential for sales. Can I select more than one Age Range? Definitely! Select as many consecutive ranges as you need, and we will turn your selection into a single range. For example, if you check the boxes for ages 0-2 and 3-5, the iBookstore will list your ebook as intended for readers between 0 and 5 years old. Can categories other than Children and Teens select an Age Range? Age Range is currently only available for books and ebooks listed under the Children or Teens categories. Can an Age Range be specified for a printed book? Yes, certainly! For print books, the age range will not affect your book's listing on retail channels.